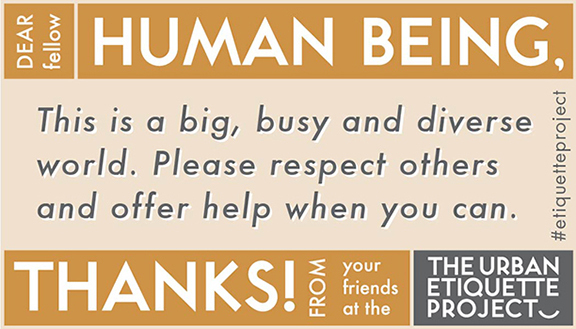 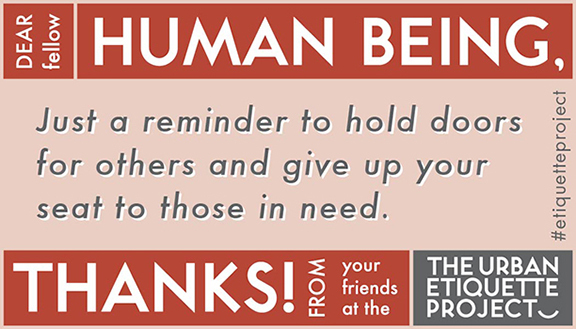 Back in December 2011, I launched the Toronto Etiquette Project, little reminder cards which aimed to help improve public behaviour in Toronto. 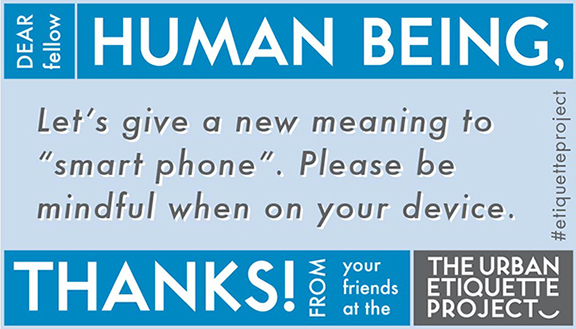 This later evolved into the Urban Etiquette Project, which could be used in other cities, both English and French. 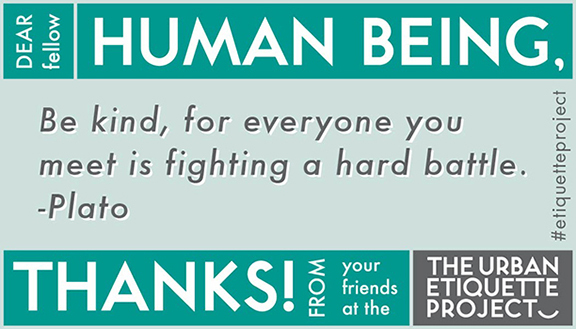 The project garnered a lot of attention, with coverage in the Globe & Mail, Flare Magazine and the Toronto Star. 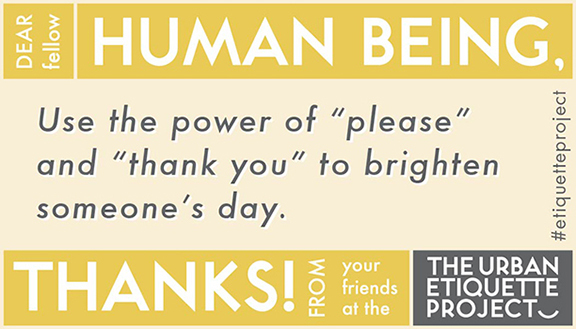 To commemorate the five year anniversary, and to keep the kindness flowing, I've created five new graphics to share on social media, using #etiquetteproject. 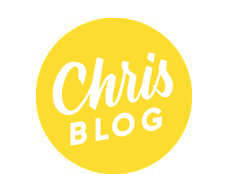 You can view the project's entire 5-year development here. 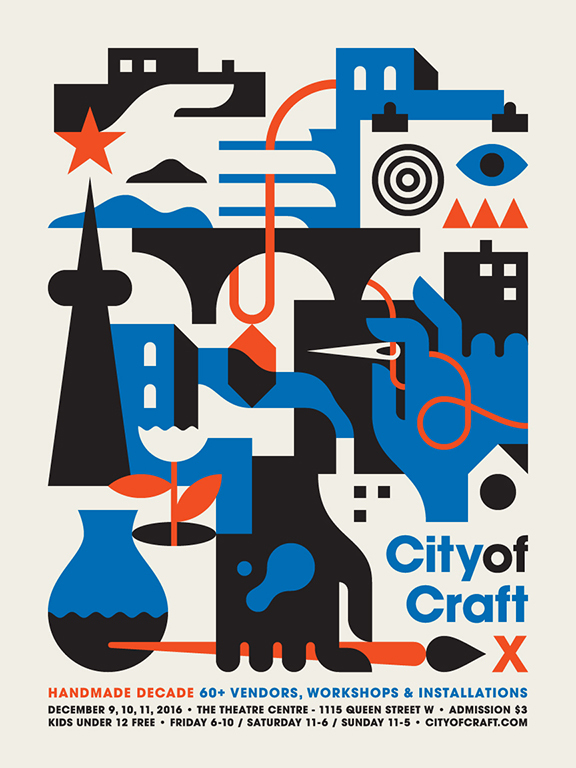 Hope to see you this weekend at Toronto's favourite winter market, City of Craft.